Porsche 911 in the new era turbocharging It offered from end of January 2016 new releases AWD 911 Carrera 4 and 911 Targa 4. Specifically, the supply of four-wheel drive in the range 'Nine Eleven'Will be configured as follows: Porsche 911 Carrera 4, 911 Carrera 4S 911 Carrera 4 Cabriolet 911 Carrera 4S Cabriolet 911 Targa 4 and 911 Targa 4S. The common element of the versions 911 Carrera 4 and 911 Targa 4 is your system AWD, in which the German firm employs a multi-plate clutch an electronic controlled coupling the rear axle (which receives power from the engine) to the front and change the torque distribution between these axes in terms of adhesion. Mark Stuttgart does not specify the exact distribution of torque between the front and the rear. From the aesthetic point of view, these versions of Four-wheel drive They differ from other variants two-wheel drive Porsche 911 by light strip joining the taillights and the steps larger wheel, They stand for 4.4 cm more. 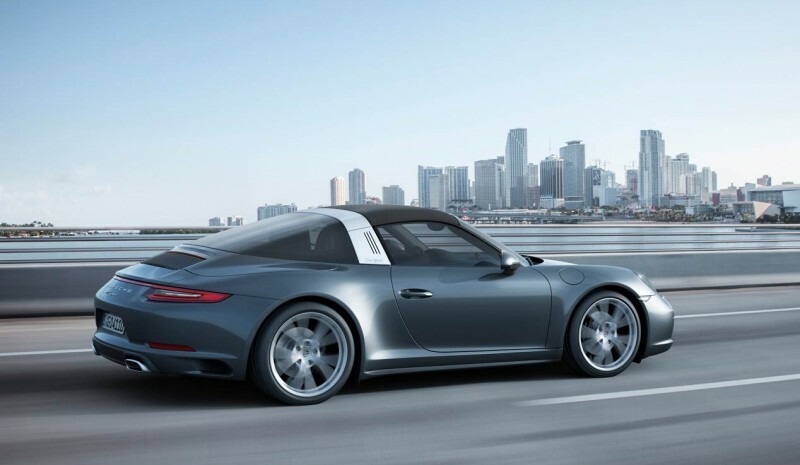 The 911 Carrera 4 and 911 Targa 4 combined total traction system with the new 3.0 biturbo six cylinder boxer with power levels of 370 and 420 hp (the highest power for Carrera 4S Y Targa 4S). The maximum torque of 45.88 mkg is announced for the Carrera 4 and Targa 4 versions and variants 50.98 mkg for the Carrera 4S and Targa 4S. 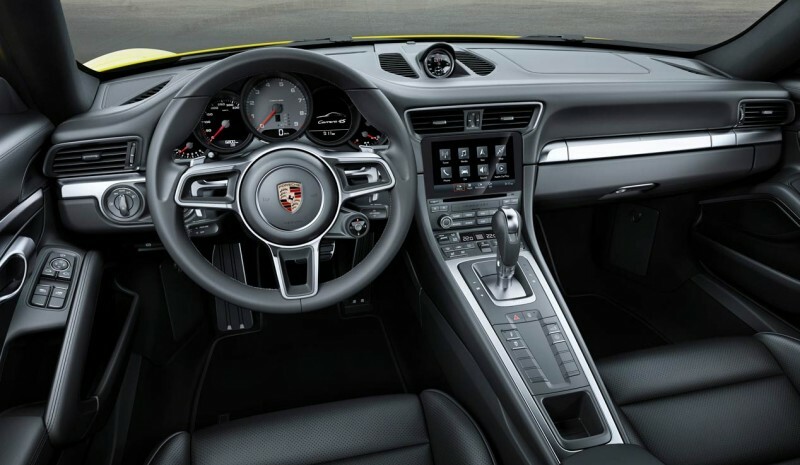 Equipped with dual-clutch automatic transmission PDK 7-speed and technical pack Sport Chrono, for him Porsche 911 Carrera 4 it announces a acceleration from 0 to 100 km / h in 4.1 seconds (3.8 seconds for the 911 Carrera 4S). Meanwhile, in the case of 911 Targa 4, one sprint is declared 0 to 100 km / h in 4.7 seconds (4.4 seconds in the 911 Targa 4S). 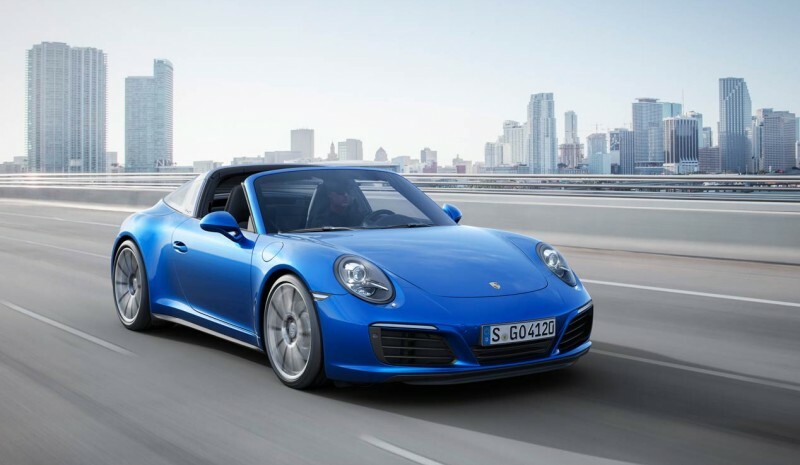 In terms of consumption and emissions, the average expenditure approved ranges between 7.7 and 9.0 l / 100 km (in versions 911 Carrera 4, 911 Carrera 4S Cabriolet 911 Carrera 4 Cabriolet and 911 Carrera 4S) and between 7.9 and 9.0 l / 100 km at 911 Targa 4 and 911 Targa 4S. 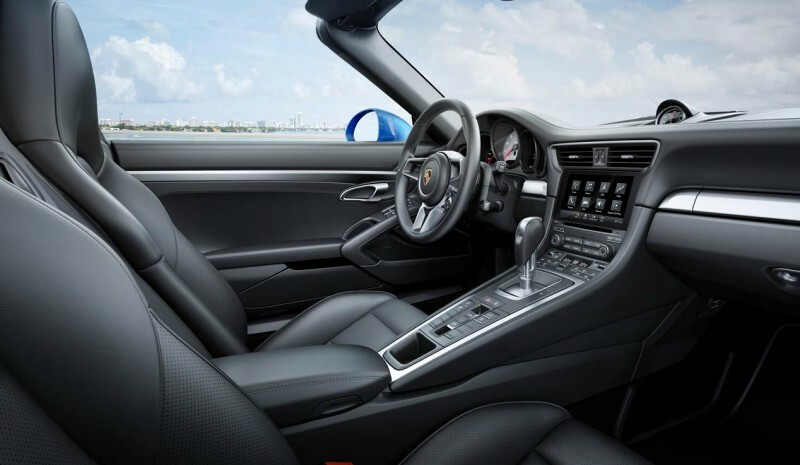 He adaptive chassis with the PASM suspension system (Porsche Active Suspension Managemente), variable shock absorber control, the system four steering wheels (The rear wheels also rotate slightly in the same direction as the front) optional for the 911 Carrera 4S version and dynamic driving system Sport Chrono, varying different parameters of the car (also optional and four operating modes-Normal, Sport, Sport Plus and individual), they are some of the key techniques that contribute to extol the agility and sporty dynamics of these versions of drive four wheels 911 Carrera 4 and 911 Targa 4. For plugged into the connectivity and the latest multimedia navigation and entertainment systems in the ranges of Porsche 911 Carrera 4 and 911 Targa 4 the system is also available PCM (Porsche Comunication Management) With multi-touch screen, traffic information in real-time connection and interaction with smarthpones with iOs operating systems and Apple, Wi-Fi, Bluetooth system handsfree and services over the Internet as Google Street View and listen emitters radio broadcast via online. Citroën Aircross, gör C4 Cactus SUV? CXperience Citroen Praca na Paris Motor Show 2016: przyszłość CX? Peugeot 3008 vs Seat Leon X-farenhet: SUV eller crossover? Vad är bättre?